If you’re in Dubai and you’ve got an outdoor wedding, conference or event coming up, then one of the first things you should consider is to rent a tent. You’ll need a tent in place so as to protect you and your guests from all the outdoor elements. Not only that – the canvas should look stylish and must be complaint with the theme of your event. When you’re looking for tent rental in Dubai, you should consider a few things. Is the marquee within your price range? Does it provide adequate shelter for your guests and does it look the part? In a city as famed as Dubai, when organizing an event, you need a tent that looks both modern and elegant. Rental Joy provides the most efficient tent rental service in Dubai by considering all of the aforementioned requirements. Our array of tent rentals is perfect for your next wedding event. The installation and design of the canvas will complement the wedding ceremony. 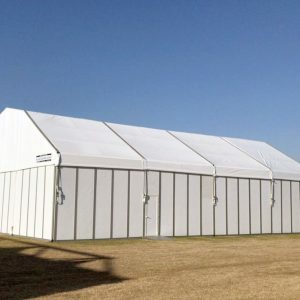 If you’re hosting a sporting event, then what better way to do it than with a marquee rental. Choose one from our listed products based on the overall size of your event. Are you planning an outdoor concert with a host of talented musicians? Choose a tent from our rental options that will be perfect for you and your guests. 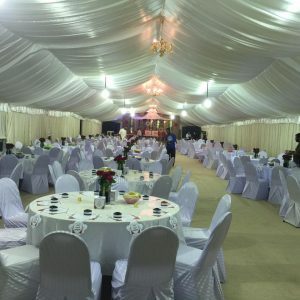 If you are looking to hold a private event in Dubai, then a tent rental from Rental Joy will cater to your design and housing needs. Small, medium or big tents are a great solution to host any exhibitions that you are planning to conduct. The stylish look of our products makes them suitable for any corporate event. It is your child’s 1st birthday or your parents’ anniversary? No matter the occasion, we can provide you with a great place to entertain your guests. Small / Medium / Big – Which Tent Should I Choose? When figuring out the size of tent that you need, the first thing to keep in mind is how many guests you will have attending. Is it a small family birthday? Or perhaps you’re catering for a few hundred guests for a large, corporate event? You also need to consider the type of flooring that will be used. 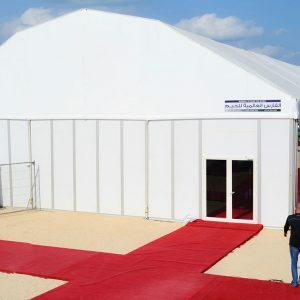 Our tent rental solutions in Dubai are designed to be placed on either a raised or flat structure (such as tiles) or a surface such as sand or grass. But this could alter the size of tent that you need. You’ll also need to factor any customization requirements. This is largely determined by location and the crowds’ needs.